(P1) ELIZABETH HOLMES, who is thirty, is the C.E.O. of THERANOS, a Silicon Valley company that is working to UPEND the profitable business of BLOOD TESTING. Blood analysis is important to medicine. When your physician wants to check some aspect of your health, such as your cholesterol or glucose levels, or look for INDICATIONS of kidney or liver problems, a blood test is often required. This typically involves a long needle and several blood-filled VIALS, which are sent to a lab for analysis. (P2) Holmes told the audience that blood testing can be done more quickly, conveniently, and inexpensively, and that lives can be saved as a result. She was wearing her daily uniform—a black suit and a black cotton TURTLENECK, reminiscent of Steve Jobs—and had pinned her hair into an unruly bun. As she spoke, she paced slowly, her eyes rarely blinking, her hands clasped at her waist. Holmes started Theranos in 2003, when she was nineteen; she dropped out of Stanford the following year. Since then, she told the audience, the company has developed blood tests that can help detect dozens of MEDICAL CONDITIONS, from high cholesterol to cancer, based on a drop or two of blood drawn with a PINPRICK from your finger. (P3) Theranos is working to make its testing available to several hospital systems and is IN DISCUSSIONS with the Cleveland Clinic. It has also opened centers in forty-one Walgreens pharmacies, with plans to open thousands more. If you show the pharmacist your I.D., your insurance card, and a DOCTOR’S NOTE, you can have your blood drawn right there. (The sample is then sent to a Theranos lab.) From that one sample, Holmes said, several tests can be run—all less expensive than standard blood tests, sometimes as much as ninety per cent below the rates that Medicare sets. A typical lab test for cholesterol can cost fifty dollars or more; the Theranos test at Walgreens costs two dollars and ninety-nine cents. (P4) Theranos, which is PRIVATELY HELD, is both a HARDWARE company and a MEDICAL company, and for many years it has operated with a STEALTH common to many Silicon Valley STARTUPS. “For a long time, I couldn’t even tell my wife what I was working on,” Channing Robertson, a chemical-engineering professor at Stanford and the company’s first board member, told me. (P6) The company’s rise comes at a time when consumers are increasingly eager for access to their personal data. The lower costs of DNA-sequencing technology have made it possible for companies such as 23ANDME to provide individuals with their genetic information directly, rather than through doctors, empowering NERDY customers and SELF-MOTIVATED patients. 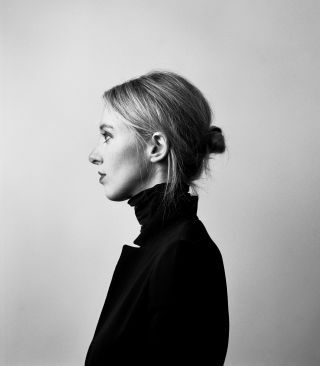 Elizabeth Holmes started Theranos when she was nineteen years old. What were you doing when you were nineteen? Did you dream about starting your own company? When was the last time you got your blood drawn? Are you looking forward to the changes that Theranos will bring to the process? Do you think the hospital system in your country needs improvement? Share your thoughts and experiences with your Cambly tutor! What does “privately held”, “startup” and “self-motivated” mean? Practice using each expression in a sentence; extra points if you can use it in conversation.